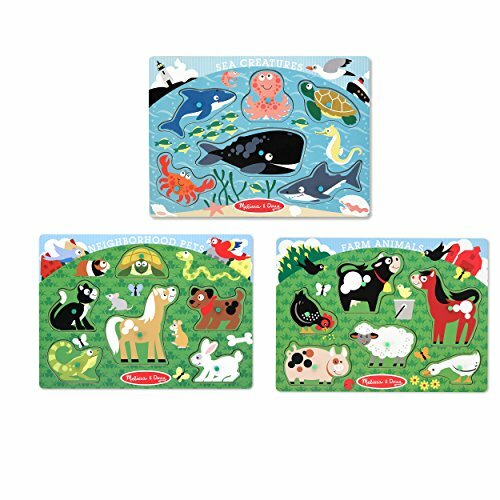 These sturdy wooden puzzles, each with 6 easy-grasp pegged pieces, are illustrated in themes that are sure to delight any child: charming pets, sea creatures, and farm animals. As they place the pieces over the matching pictures on the puzzle board, children will develop hand-eye coordination and fine motor and problem-solving skills. 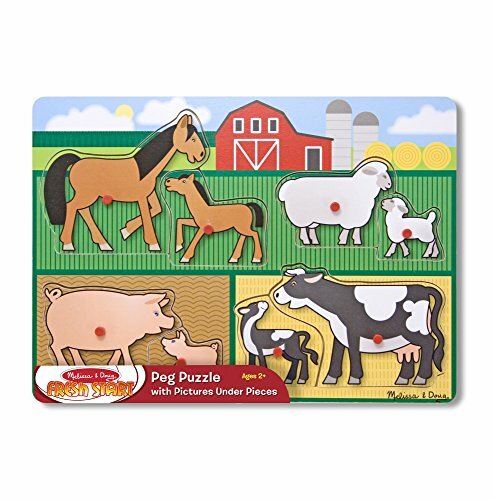 Farm Animals Peg Puzzle by Hape is as kid friendly as can be. Pictures under the pieces prompt players where to place them. Finger sized pegs make handling pieces a snap. Develops fine motor skills, cognition, and visual senses. Puzzles by Hape are directly printed onto the wood base, unlike other puzzles. Durable child safe paint finish and solid wood construction are hallmarks of Hape toys. Hape's toys stimulate children through every stage of development and help nurture and develop their natural abilities. All Hape products sold in North America meet or exceed all applicable safety standards. 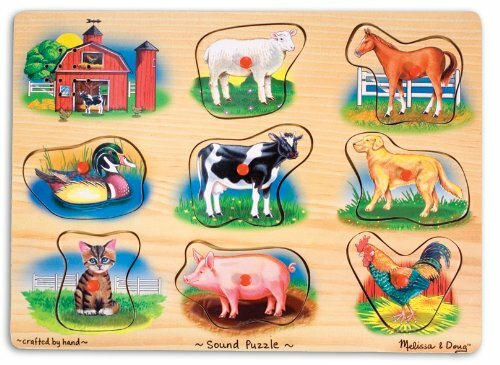 Farm Animals Peg Puzzle by Hape is as kid friendly as can be. Pictures under the pieces prompt players where to place them. Finger sized pegs make handling pieces a snap. Develops fine motor skills, cognition, and visual senses. Puzzles by Hape are directly printed onto the wood base, unlike other puzzles. Durable child safe paint finish and solid wood construction are hallmarks of Hape toys. Hape's toys stimulate children through every stage of development and help nurture and develop their natural abilities. All Hape products sold in North America meet or exceed all applicable safety standards. Explore the farm and meet the animals who live there with this easy-grasp peg puzzle. 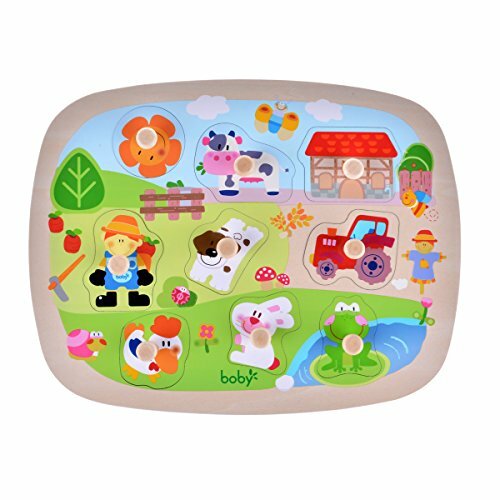 The wooden board is decorated with a charming farmyard scene and the pictures under the puzzle pieces make it simple and lots of fun to place the barn and animals into shaped wells in the sturdy wooden puzzle board. Your child will want to do this puzzle again and again! 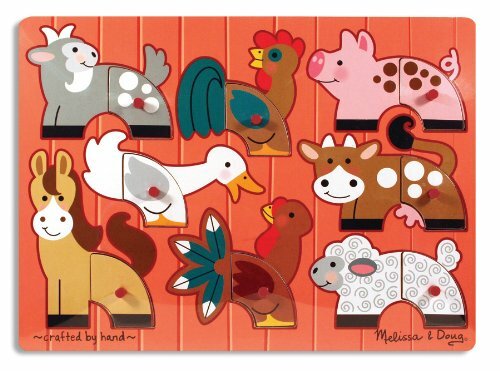 This wooden peg puzzle, featuring favorite farm animals, includes eight interchangeable pieces, allowing children to make different farm animals every time! Encourages eye-hand, fine motor and creative expression skills. 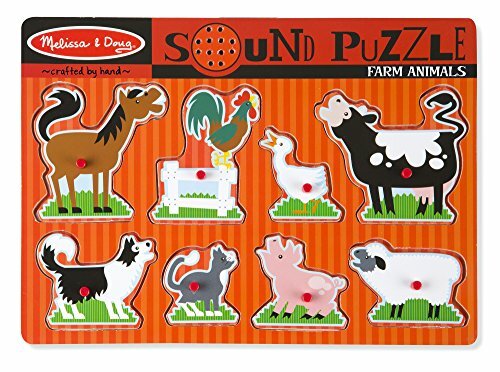 Get to know the animals on the farm with this 4-in-1 peg puzzle! 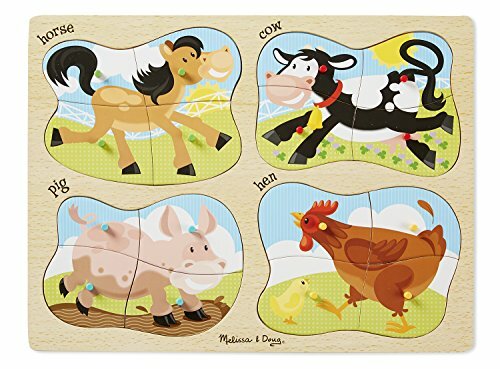 Color-coded pegs and matching pictures underneath each piece make it easy and lots of fun for children to place the horse, cow, pig, and hen into the sturdy wooden puzzle board, which also features the name of each animal for added spelling and word-skill practice. Includes 16 pieces in all. 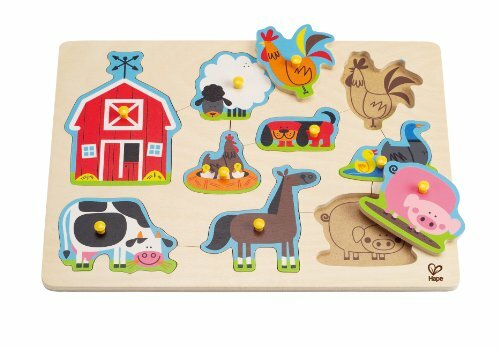 Your child may be inspired to "moo, oink, baa and neigh" while matching the mother and baby animals in this kid-powered wooden puzzle! Easy-grasp pegs and pictures under the pieces make this a great way to practice hand-eye, fine motor and memory skills. 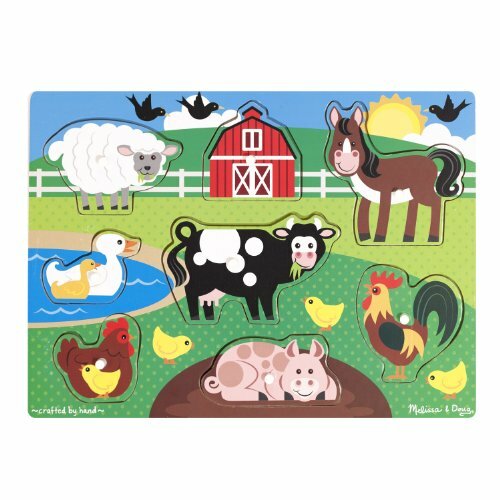 Copyright © Wholesalion.com 2019 - The Best Prices On Farm Animals Peg Puzzle Online.